He made his debut in 1999 in "Grease" with L. Cuccarini and G. Ingrassia . Still under the direction of Saverio Marconi 1999-2002 is Ermengarde in "Hello Dolly" with L. Goggi and P. Ferrari . In 2002/2003 is with G. Guidi and M. Baccarini in " Promises Promises ", directed by J. Dorelli . Since then he has never stopped , taking part in the most prestigious Italian productions of the musical theater , that will lead to winning the award in 2004 IMTA ( Italian Musical Theatre Awards) as best female lead in "Fame - Fame" for director PeregoSaccomandi . Starring in " Paolo and Francesca " by R. Avallone , " Geronimo Stilton Super Show," directed by Gino Landi , " Gaston " with M. Venturiello and Tosca , " The Divine Comedy " by M. Frisina , " Odysseus " by Dino Scuderi and Renato Greek , " Cats " the Company Rancia directed by S. Marconi and D. Ezralov , "The Mission" with music by Ennio Morricone and Andrea and directed by S. Genovese, " La Tosca " by Luigi Magni , " Salvatore Giuliano the musical" D. Scuderi with G. Ingrassia and B. Cola , " the Rome Gemelli Legendary " directed by M.Simeoli , " It is the fault of the greats? " Directed by M. Mandolins , " It does not end mica heaven " by G. Vergoni directed by F. Angelini, "Angels " by P. Lombardo and R. Pandolfi , " The straw hat of Florence " , directed by S.Querci . In 2011-2013 for MediterrArea is a producer and performer with Luca Notari " Hello Love Hello Tenco and Dalida between music and Love," written and directed by Piero Di Blasio , whose distribution is in the cd . Enter the world of the musical with " Tosca Desperate Love " by L. From (2003-2010) and " Jesus Christ Superstar" Rancia of the Company , under the direction of F. Angelini (2006 - 2008). She is currently in the sixth edition of the official musical comedy " Add a place at the table" Garinei Giovannini and curated by the company and directed by Dawn F. Angelini . And ' Mary Buttman in the original " Georgie the Musical " by Crocetti - BarbafieraRibechini , which is to be released on CD sponsored by Avis Italy . In recent years he joined the cast of " It does not end mica heaven " by G. Vergoni directed by F. Angelini, "The Betrothed " by M. Guardi' , " Canterville " by R. Steiner, "Odyssey" Brothers Grieco, " Under the sky of Rome - Trasteverini " directed by F. Angelini . Participate in the movie "The Whole Truth " directed by C. Th Torrini and made ​​his debut in musical theater inspired by Brecht's " Opinions of a clown in B flat " , directed by S. De Luca . Brings to the stage with the company " The temperature of a pause" , the shows (including literature and music) as "Lovers , Lovers ," " A strange girl ", " Chocolat " , directed by Maria Laura Platania and " At All slaughter " by Boris Vian under the direction of Antonio Cervigni . As part of this year gives dubbing the " singer " to Dr. Bailey in the musical episode of "Grey 's Anatomy ." He made his debut as a tenor protagonist in " Rita " by G. Donizetti (2004) , singing at the " Palais de la Bourse " in Paris (2006) and then , in 2008, in " Tosca " by G. Puccini. In 2009 he made his debut in "L' Elisir d'amore " by Donizetti , directed by Maestro S. Vignati . In 2010, tenor protagonist is in " Cinderella " and " In Mr. Bonaventure" Maestro P. Bono takes part in a concert at the World Expo in Shanghai (China) as a representative of Italian excellence in the world. He played different roles in the course of the 64th and the 65th season of the Teatro Lirico Sperimentale di Spoleto : "La tragedie de Carmen " in "Madama Butterfly" and "La Boheme ." And ' Italian tenor soloist in the first performance of the opera " The Little Match Girl Passion " by David Lang, Pulitzer Prize for music in 2008. Takes part in international tours in China, Turkey , the Netherlands, Russia , South Africa and Canada. In 2012 Turiddu in the opera " Cavalleria Rusticana " by P. Mascagni and Raimbaut work " Adelaide of Burgundy " by Peter P. General directed by F. Piva , the " Mozart Week 2012" at the Teatro Marrucino is Monsieur Vogelsang nell'operina "Der Schauspieldirektor " by Mozart , and subsequently made ​​his debut in "La Traviata " conducted by Maestro D. Squeo directed by S. Mountains and still plays Turiddu directed by Alan Freiles Magnatta . In 2013 plays Don Jose' in " Carmen " by George Bizet and still is Alfredo in "La Traviata " directed by Alan Freiles . In ' August 2013 he made his debut in the role of the Duke of Mantua in "Rigoletto " by G. Verdi directed by R. Barbieri under the direction of A. Petris . Face known to the general public for his participation - until 2000 - as a singer in the program for Italia 1 " Sarabande " from 2004 made ​​its debut in musical theater and began his career with " Tosca Desperate Love " by the master L.Dalla . From 2006 to 2008 he participated in the musical " Jesus Christ Superstar" produced by the Company Rancia directed by F. Angelini and in 2008 took part in the " Beggar's Opera " by John Gay and directed by L. From and in " Sweeney Tood " directed by M. Simeoli . It ' directed by F. Angelini also in " Pippi Longstocking " ( 2010), " Under the sky of Rome , Trasteverini " (2011) and " Ghosts in Rome ( 2012). 2012 is the year of entry into the cast of " The Betrothed " M. Guardi' . 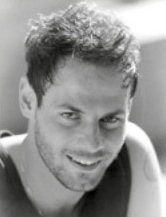 During these years , also participated in several film and television productions : " Brothers " of C.Bonivento with Massimo Ghini , " Don Matteo " with Terence Hill , " Born tired " with Ficarra and Picone, " The Beautiful Women's 3 "," lights out "by M. Ponzi , " Never love stories in the kitchen " with Gigi Proietti and" Catherine and her daughters " with Virna Lisi . Performer formed between Italy and England in the best musical academies. He took part in several shows produced by Ideadanza and Tealtro, coming to perform on stage at the Teatro Brancaccio, and the Teatro Sistina in Rome. For the LONDON SCHOOL OF MUSICAL THEATRE performs at workshops from major musical repertoire, both as protagonist and as ensemble to play the role of Maria Josefa in "The house of Alba Bernanrda" F.Garcia of Lorca, with music and texts Michael John Lachiusa the Bridewell Theatre in London. And 'lead vocals for several bands, managing to push his vocal talents to the different genres and colorful. After years of training, he devoted himself to dance professionally in both television and in the theater. In 2011 part of the corps de ballet in the program RaiUno "Action, sings" and participate - on the same network - to "leave you a song" as a performer of Tap Dance. In the same year is part of the show "Magic School Musical" at the Teatro Nuovo in Milan, directed by Michael Mink and choreographed by Mark Stopponi, with whom he frequently collaborates in several productions ("Tribute to Michael Jackson," "Peter Pan" , "The Wizard of Oz"). He has performed in flashmob of national importance and has been a member of the corps de ballet for the event by Dolce & Gabbana at Palazzo Pisani in Venice, with choreography by Thomas Signorelli. In musical theater debut in 2004 at the Teatro Sistina in Rome with " Teach me how to Dream ," which will follow " A little ' before the first " and " Good evening Good evening " and with Claudio Pino teach . In 2006, playing the role of the Tin Man in the musical " The Wizard of Oz" and the role of the Indian in " Cannibal , the Musical ," both directed by Claudio teach . In 2008 , under the direction of Federico Bellone and Fabrizio Angelini, plays the role of Fred Astaire in the musical " Hollywood Dreams ." In 2010, directed by Ilene Constance in the musical " Jack the Ripper of a Underground " and in the same year she starred in the musical " Energy Story" directed by Laura Ruocco . The year 2011 sees him engaged in "Roma Caput Mundi ", " The Count of Monte Cristo" and "The Betrothed ." In 2012/13 , " Shrek the Musical " directed by Claudio teach , and " Naples is ' na Word" with Marco Simeoli . On television takes part in the 3rd and the 4th edition of " Teleditta Rewarded " ( Italian one) between 2004 and 2006. Young performers, he began his career as a singer and dancer for G. Phino in "Mr. Phino TALK SHOW "," The J. Phino Show - "2 crazy unique," "Burlesque Cabaret" with Gianfranco Phino, Maximum Wet and nut and "With Mary over the night" in "In the womb of a woman" by Francesca Giordano, original music and musical direction of MG Marino. The approach to the world of musicals is the case with "Forza Venite Gente (Friar Francis)," directed by M. Paulicelli and "Georgie The Musical. Love Story. " Trained as a dancer, in 2000 he began studying acting at the same time is close to the modern piano and musical composition. His theater experience includes "Robin Hood" by B. Data, "The Luck of Losing" by B. Maresca, "MAMMA MIA!" Of Stage Entertainment (stable in Milan and Rome), "The Saturday Night Fever" of Stage Entertainment (stable in Milan) and "AMERICA, the Musical", directed by S. Sibillano, which in addition to playing the role of Mother Cabrini care also choreographed. It 'dancer in the Company "Trio-là" by Sarah Siliani and among his recording experiences we remember the CD of "Robin Hood" (original cast Italian). In the theater, working with Roberto Herlitzka in "Murder in the Cathedral" , directed by Andrea Buscemi, with Nino Castelnuovo in " The Scarlet Letter " and worked at length with Teatro Stabile d'Abruzzo , in which he plays the role of Iago in Othello Shakespeare. Tile Pino teach in the drama " Edgar Allan Poe, the story of man," and he directed theater of " A Doll's House " by Ibsen under the auspices of the Royal Embassy of Norway . His piece - "Dance of Irène " - and ' represented under the auspices of the Consulate of France in Paris. He recently portrayed Damis in "The Nose " by Moliere at the side of Franco Oppini and Corinne Clery , under the direction of John Anfuso . In the field of musical is one of the protagonists of "Give me three ships " with Alessandro Preziosi and " Jekyll and Hyde " with Gio ' Tuna . At the cinema is in "The Little Gem " by Andrea Molaioli alongside Toni Servillo and Remo Girone . On TV, over the years , he participated in several dramas ( The honor and respect - both in the first and second series - Madame Catherine and her daughters ) . Singer, dancer and actress, accompanied by her experiences in the television drama: Beppe Vessicchio participates in "Together singing" on Rosso Alice "to" The train of desires "on RaiUno and is part of the corps de ballet of the show" Now ... it would take a friend "Lorella Cuccarini and" Domenica In ", in both cases, with choreography by Melissa Bonaparte. He approaches the world of musicals as the star of "Dirty Dancing" at the Teatro Orione, "Burlesque" at the Teatro Sistina, "MUSIC" at the Teatro Brancaccio, and "JESUS ​​CHRIST SUPERSTAR" at the Teatro Orione directed by Marcello Sindici. At the same time he continues his career as a chorister - the tour began in 2008 with Young Love - participating in the recording of the album tribute to Andre "Thee" made by Jack's Mannequin, with the direction of Maestro P. Caruso and Maestro P. Buonvino. Start young with the shows in the theater "Rudolph Valentino" with R.Paganini and directed by Claudio teach and "The Phantom of the Opera" by Andrée de La Roche. Then comes the brief television, with participation in the fifth edition of "Amici di Maria De Filippi," to return to the theater with the "Scarlet Tour" which is also the choreographer and "Deep Red", the musical directed by M . Calindri and D.Argento. And 'in the cast of "Fame" directed by M.Daverio, "The beautiful nights" under the direction of C. Boccaccini, "Gas R-Evolution" directed by G. Landi and "Tosca Desperate Love", a musical by L. And choreography by Daniel Ezralow. Participate as a dancer at the "Italian Tour Sal Da Vinci" and "Tour Italian Gigi D'Alessio." Continue the theatrical experience with "SPA only for love" with Loretta Goggi directed by G.Brezza, "Aladin" and "W Zorro" directed by F. Angelini. Forms in classical dance and perfected in modern dance. Among the various musical experiences in the field , is selected as the only Italian in the cast of " La Petite Sirene " with choreography by S. Savin , "Footloose, " with choreography by K. Daddy and " Romeo und Julia " choreographed by Redha . It is part of the first Italian cast of "Beauty & the Beast" and the cast of " Mamma Mia " , both produced by Stage Entertainment until 2012. In 2013, the cast of "W Zorro" , a musical produced by Medina Productions under the direction F. Angelini . He has extensive experience working in dance theater " Satyricon " directed by B. Arena, " The feast of soul and body " spectacle of A. R. Shammah , "Toulouse Lautrec " with choreography by S. House, " Rite of Spring" with choreography by S. Beltrami, " Orpheus " by S. Beltrami, " Falstaff " and " The Witches of Venice " with choreography by M. Bigonzetti . As a dancer, also participates in the 57th edition of the Sanremo Festival ( Raiuno ) with choreography by D. Parsons. In 2010 he was selected by the Group Jobel for the show "Medieval Rome," in which she plays the role of the evil Ademaro under the direction of L. Cognatti and participates duet with Massimo Ranieri, Gloria Gaynor, Gigi D'Alessio, and Kool & the Gang - with the Group "Wild Boys" - the talent show Rai Uno branded "24MilaVoci" hosted by Milly Carlucci. In June, returns to the theater with opera concert "Legend of Raphael and the Fornarina" at the Teatro Argentina in Rome under the direction of M. Sindici. With the entrance in the famous school of Channel 5 "Amici di Maria de Filippi," became one of the faces of Italian television. The year 2012 he is the protagonist of the musical "Casanova loves and deceits in Venice" - in the role of Casanova - by Daniele Martini and manufactured by the designer Italian / French Pierre Cardin. Raphael Avallone soon began his artistic career . At 16 he signed his first contract with the record company RCA . Two years later he joined the project of Karim label, next to the pianist Maurizio Pollini and the singer-songwriter Fabrizio De Andre'. She writes songs with Giorgio Calabrese, Elvio Monti, Franco Zauli , Hector Ballotta , Furio Rendine . At the age of 21 he married and to give certainty to the family budget and the child on the way , he decided to say goodbye to the artistic world . Following difficult years in which he devoted himself entirely to study at university , first in economics and then for a second degree in law . After a few years he decided to study composition , taking lessons from the Master Procaccini ( Santa Cecilia Conservatory in Rome) . The work " Paolo and Francesca " marks , in 2005, his debut as a lyricist and the music of a drama with some lyrical score and part pop . Following the rock opera " Wojtyla Generation " in care books, music and orchestrations. The opera debut in Poland in 2009, with the Philharmonic Orchestra of Poland and is presented in Madrid in 2011 during the World Youth Days. Daughter of art, was born in Germany. He graduated from Berlin Tatjana Grovosky. Continue to work in Leipzig, in the Opera House with Ciri and participates in several toured European capitals Europe. After escaping from East Germany, he moved to Copenhagen, Frankfurt, Milan and Rome. He settled in Italy and continues to work for both the Operetta of Trieste and for the Sistine Chapel. Become a stable choreographer of the productions of "Bagaglino" - is both theatrical and cable - Castellacci and Pingitore. It also works to Todi Festival Silvano Sword. It 'choreographer of "The Magic Flute" for children at the Teatro Eliseo with Fabio Grossi and participates in several film productions, without ever leaving the world of television. Graziella Pera graduated in architecture and began his career as a set designer and costume designer. It collaborates with the most famous and prestigious productions - from the late seventies to the present day - and with the big names of the entertainment world Italian: from Castellacci and Pingitore to Albertazzi, from Japino in Brignano, Biagio Izzo Marisa Laurito. It 'was the costume designer for the transmission of highly successful RAI and Mediaset, including "Back to the whole", "Domenica In", "Seriously" and "Caramba what a surprise," and it also showcases film signing costumes dozens of films, to win the Quality Award for "Groundhog Day three 'Massimo Troisi. In 1992 he created the brand "Grace Pear" and manufactures high fashion garments, either by participating in numerous parades and as a representative of High Fashion Italian, on the occasion of the Football World Cup 2002 in Japan.